Bespoke windows and doors for modern design. Certified passive windows and energy efficient doors. Combine traditions wiht energy efficiency - new life for log homes. Nordic window and door design for modern architecture. Viking Window AS has supplied bespoke high quality wooden and aluclad windows and doors for 20 years. Viking Window AS was established in 1996.a. as a joint venture with a Danish window manufacturer Rationel Vinduer. In 2001. our managing team bougth all of the shares and since then we are 100% Estonian company. Today Viking Window has bocome internationally known brand of high quality and focus on bespoke solutions. Our main markets include Estonia, UK, Norway, Ireland, Sweden, Latvia and we have supplied also to Iceland, France, Japan, Netherlands and Finland. Viking Window AS desings wooden and aluclad windows and doors. Our product range include windows for high end energy efficient buildings, for refurbishments and also traditional (aka county style) windows and doors. It's my belief that one of the most important architectural elements of a house are windows and doors. Viking windows are of really high quality and provide dynamic accent for "Villa Tommy". — Look for more in Villa Tommy gallery! Nordic Windows was exemplary from start to finish. We were guided through the various options in his showroom in a very professional manner. Seeing the windows up close in the showroom one quickly got an appreciation for their quality. The fact that they were all custom sizes and shipped from Estonia made this quick turnaround all the more remarkable. Our new home is toasty warm due to the ability of the windows to retain the heat within the building. SW17 window is a modern Nordic design for zero energy homes: outward opening window, with lim profiles ensures excellent energy effiecency and broad view. 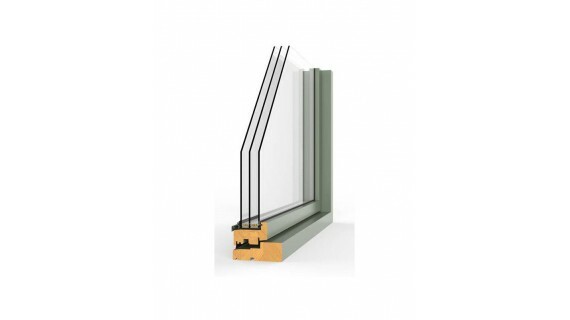 With 3-glazing and two sash gaskets U-value Uw = 0,75 Wm/²K is achieved. Viking Window products have passed tough testing and comply with building regulations. We follow good production and business practices.